That might work in North Korea but it is absurd for the EU. Are they going to have Customs officials confiscating Norah Jones CDs at the border? Are they going to prevent French citizens from buying something on ebay or Amazon etc? Not that I don't agree with your concerns about the decline of classical music in Europe. Wines & Vines reported online in March that dozens if not hundreds of U.S. wineries could lose their ability to market their products in Europe if they continue to use certain common wine terms on their labels. A deadline set by the European Union years ago arrived, and EU officials now consider U.S. imports illegal if their labels carry such good old English terms as "vintage," "tawny," "ruby," and such widely recognized terms of French origin as "chateau," "clos" "sur lie." Does this raise a long-running trans-Atlantic war of words to an absurd new level? We all know that Europeans have lobbied for decades to get U.S. winemakers to drop "Burgundy," "Port" and "Champagne" from their labels in the U.S., but they haven't had the clout. The Europeans do have the authority in their own countries, and they have successfully banned these misleading geographic terms on imports. They also want to regulate a host of non-geographic terms that they call "traditional expressions." Mr Bass and Scott Wheeler like this. Not only the Grimm does "pure" DSD at 5.6 MHz, so does the $1k Tascam DA-3000, and the discontinued but still readily available Korg MR2000. True, the last two are "prosumer"; I think the Grimm is the one most used by pros. If you are really curious, open a topic in the Audio Hardware forum and ask our host what he is using for the AF SACD's. The Sonoma DAW will work in DSD without involving PCM, although I'm told it has significantly less functionality this way. I'm not much of an expert on heavy metal but I am under the impression that Metalica is not wanting for legitimacy. My understanding is that they are one of the most accomplished heavy metal bands of all time. 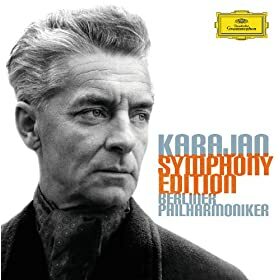 IMO any number of virtuoso soloists could easily give classical music a broader popular base by simply playing some of the more immediately impressive pieces. Classical music without gimmicks can rock the house as much as any other genre. The common perception is that classical music is snobbish stuffed shirt music created by rich old people for rich old people so they can feel sophisticated. That image could easily be turned on it's head in a 2 minute performance without having to resort to gimmicks. Metallica has explored crossover before. I would be curious what the members here thought of the Black Dog Opera Library?? I've gotten a couple over the years and I see that they have reprinted a few. I've read the ones that I have ( the Mozarts and one or two others) but I haven't actually LISTENED to any of them. I seem to think that I must sit back and listen to opera with my eyes closed. I am in unfamiliar waters with opera and I wonder what you might think of these book/cd combinations as introductions for the novice like me? Are there any other book/cd combos like these for classical music/ opera?? Ashy's good enough for me. That inspired me to pull out the Rozhdestvensky performance of Sibelius Sym 6 (and 7). Decent sonics and a rather unique interpretation that I like. Nice that you want to delve into opera. Sorry I don't know the Black Dog. Actually, I would recommend that you get some DVDs initially. It's odd to listen to an opera recording without any reference to the dramatic staging IMO. If you only want to listen to operas though, go to Amazon and just listen to the samples for an opera. It is not great but at least you get a feel of whether you might want to listen to the whole work. I remember them vaguely, but I never owned one. 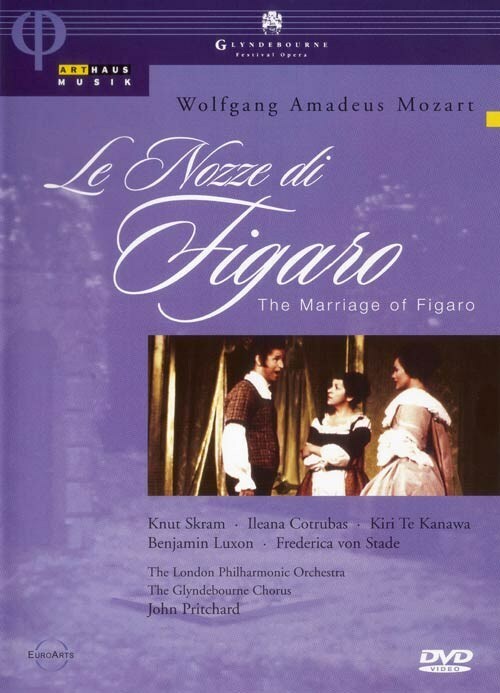 This time around, the first thing I noticed is that they claim to offer an unedited The Marriage of Figaro on two CDs. Can't be done - and the reviews on Amazon confirm this. I think you would be better off with some opera videos. They really was meant to be seen. Sounds like I will be in the market for some opera videos. Having said that...any recommendations for I Pagliacci or The Marriage of Figaro??? I am enjoying Katia Ricciarelli's voice quite a bit! I was not at all familiar with her before pulling this cd from Sony's Verdi box. Great sound as well! Any recommendations on full opera recordings with Ricciarelli? There are many for both and everyone's tastes are different. Don't have Pagliacci. FWIW on Figaro I have two: 1. Levine at the Met conducting with Battle, Allen, von Stade; 2. Pappano at the Royal Opera House conducting with Persson, Schrott, Finley. Love that conductor, though I have yet to hear his Sibelius. I like the older (70s) Glyndebourne recording with Kanawa and von Stade with Pritchard conducting. Stade is an outstanding Cherubino!!!!! But this was my first Figaro on stage so I am a bit biased. Mr Bass and Hawkman like this. I have an old Glyndebourne recording of Figaro on DVD, but the sound is 1970's TV. I also have Hermann Prey and Karl Bohm on Laser Disc (which I need to replace). Finally on Laser Disc I have Peter Sellars' radical rethinking. Can't help you at all with Pagliacci. It looks like there are a number of Blu-Ray choices. But I don't know any of them. Give a thought to Ingmar Bergmann's film of The Magic Flute as well. Edit - same Figaro as Moonfish! Yes, Bergman's theatrical version is very good indeed. I keep going back to it every year or two. I think it was filmed at the Royal Drottningholm's theatre (state of the art baroque theatre where Gustavus III used to enjoy music). I love how Bergman filmed the faces in the audience during the overture! Keep in mind that it is sung in Swedish, but I guess it is a nod towards Mozart writing the original in German. Great version! Nearly. Some shots were at Drottningholm but most were on a soundstage dressed to look like that beautiful old theater. It was a made for TV Christmas special. Love the cinematography and the wonderfully surreal stage lighting, resulting in some of the director's best visual compositions. A great movie. That would make sense. Too much wear and tear to do a film in the old theatre. Only the introduction is probably filmed there as the camera moves through the royal gardens and probably the initial overture as well. Still, they certainly makes it look like a baroque stage!!!! I keep remembering how vivid and passionate the singers were - very enchanting! Bergman's seems at his best in his films though, but it is a wonderful sojourn into the world of music. I wish he had tackled some other operas as well! ... Keep in mind that it [Bergman's Magic Flute film] is sung in Swedish, but I guess it is a nod towards Mozart writing the original in German. Great version! We are out of space, I am in the process of starting a new thread.